HARC > News > We’re updating our contact details! We’re updating our contact details! 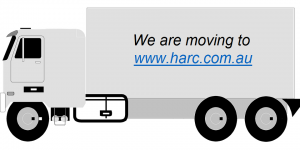 HARC are pleased to announce that we have recently secured the web domain harc.com.au, and as of Wednesday August 15 will use this as the primary domain for our emails and website. Our website can now be found at www.harc.com.au, and our email addresses are now staff.member@harc.com.au. To make sure we’re easy to get in touch with, the old domain (harconsulting.com.au) will continue to run in parallel with the new one. If you don’t get a chance to update our contact details, don’t worry, we’ll still receive emails sent to the old addresses and our website is still accessible through the old link. We hope our new domain will be a faster, easier to remember way of interacting with our team.